Galib Enterprises Ltd. strives to achieve what no other transportation company can possibly provide its customers with and that is the 'entire package'; which includes Security, Safety, Reliability, and Speed. Avaal pays close attention to the finer details when creating a website. 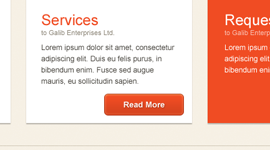 A beautiful UI created fully in CSS; which causes less stress on the servers and loads pages quicker. 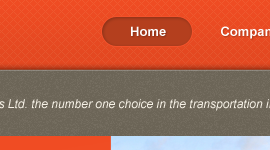 The hint of CSS shadows create depth and leave a favourable impression on the end-user. Interactivity between the website and the end-user not only impresses the viewer but gives him/her directions on where to visit next. Keeping the user interested and active throughout the experience is necessary to build quality traffic. 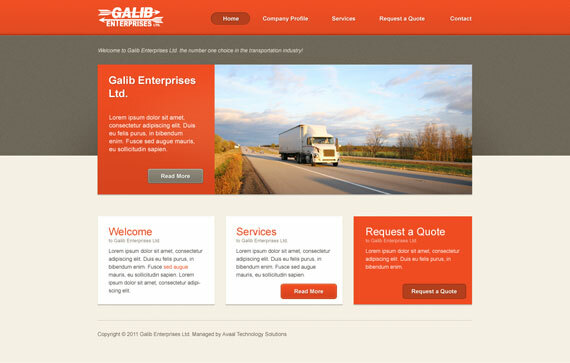 Galib Enterprises Ltd. corporate website is built on a lightweight yet powerful structure allowing for fast load-times and a clean interface (frontend and backend). If you would like to view more of Avaal's works, please visit our portfolio and learn more of corporate design services.